Back to the nail art.. It's just a simple red wine polish with silver sparkle on top. 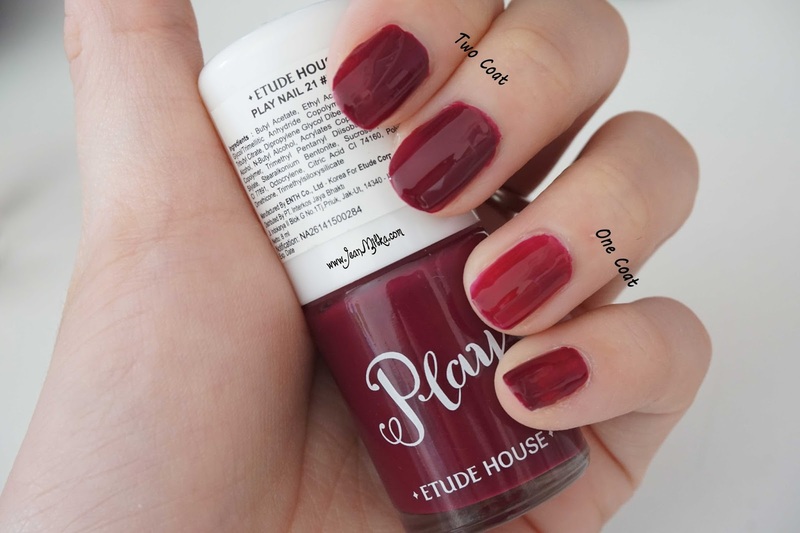 I got a Etude House Play Nail in red wine nail polish on Etude House Any Cushion launching event back on October. I was immediately thinking to create a holiday nail art for you. 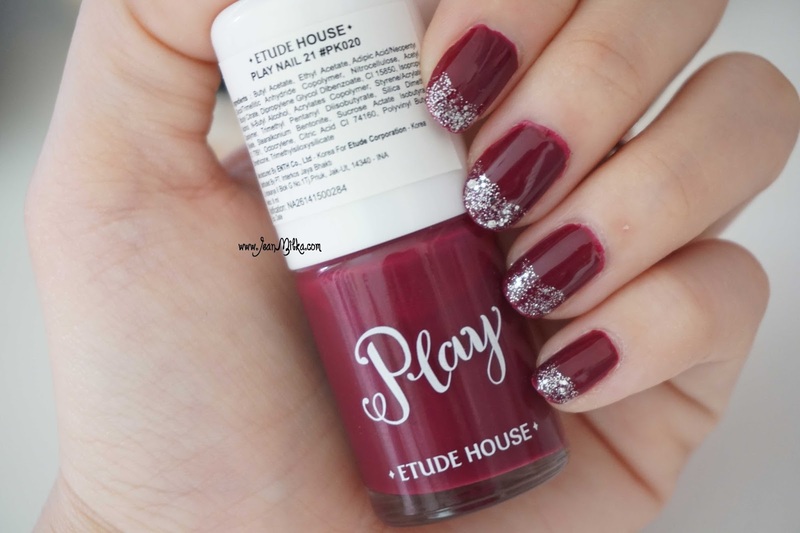 The polish I used are Etude House Play Nail in number 21 #PK020 which is a red wine polish and number 104 #WH905 which is a silver sparkle polish. For the base coat I am using OPI Nail Envy and the top coat is the popular Sache Vite Dry Fast Top Coat. This two product is my favorite base and top coat. A Brief Review about Etude House Play Nails... I was skeptical about Etude House Nail Polish, they are quite cheap but the formula can be too thick sometimes. Someone told me that the Play Nail is quite good so I decided pick some of them on my birthday last month. I always bought Etude House on my birthday month because they give you 50% discount on your birthday if you have Etude House member card. This 2 nail polish I am using for this tutorial is the first Etude House Play Nail that I have ever tried. My first impression is I like the formula. It's quite opaque and easy to apply. I am not sure if this only because of the color is dark red wine color that make it opaque in one coat. I will update you for the light and pastel color on my future manicure post. One down side about this nail polish is it chips easily. It's only last for three days and start to chipping. 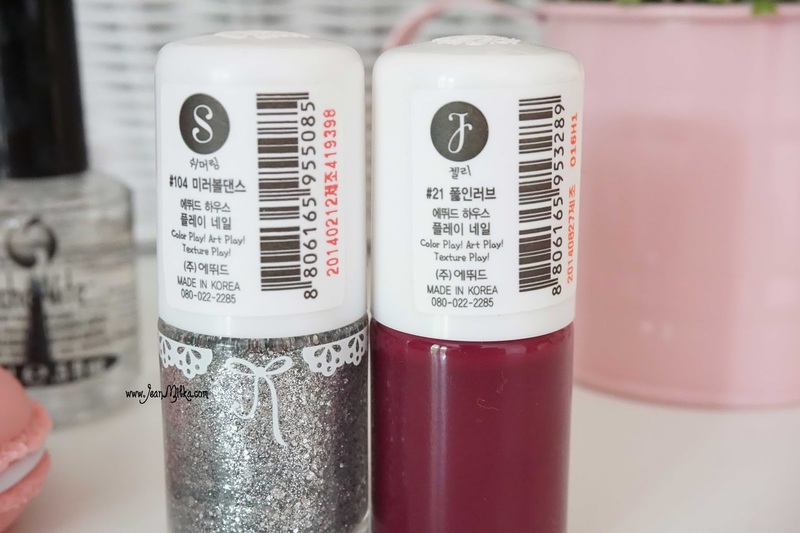 Etude House Play Nail retail for 78.000 IDR and the glitters or sparkle polish is a bit more expensive than the solid one which is 118.000 IDR. It's quite expensive without the 50% off, but with the discounts it's worth the price I think. Just like what I said at the beginning that it es easy to do. 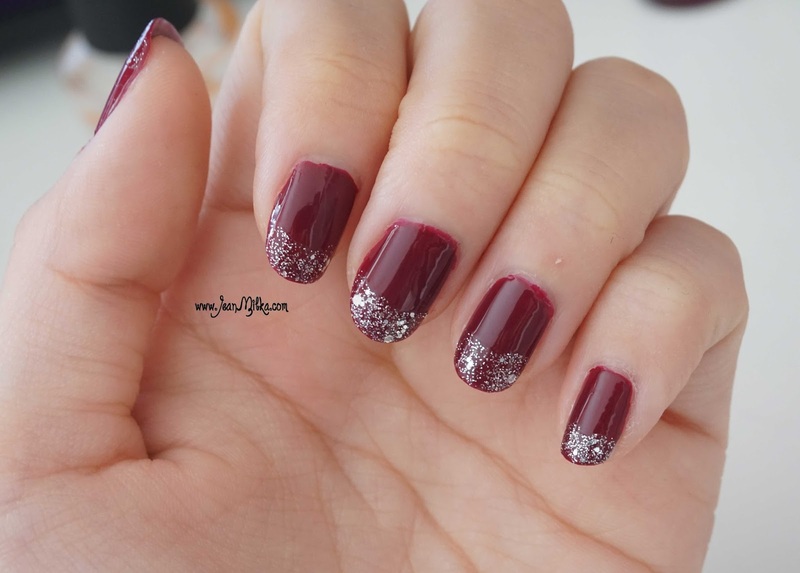 You only need to paint the red wine polish all over your nail and apply the sparkle polish on tip of your nail. To get proper amount of the sparkle, do it with tap motion. It might become thick because while you are trying to apply proper amount of sparkle on you nail tip, the transparent polish will transfer to you nails as well, but you can finish it with top coat to make it even. Remember that I always say that nail art is all about practice ^^. 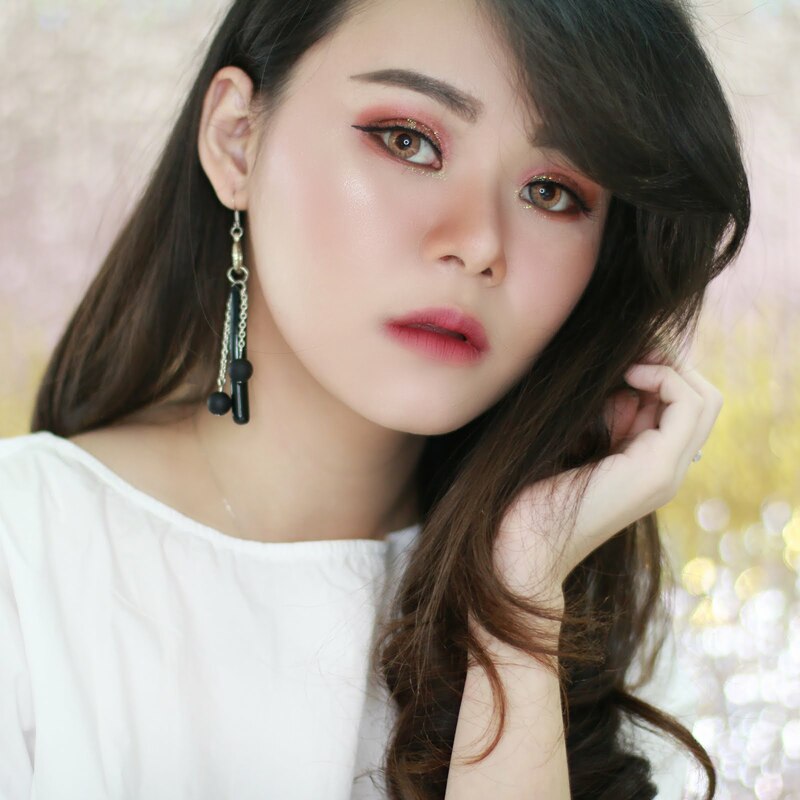 4 komentar on "Nail Art Tutorial Glam Wine and Etude House Play Nails Review"